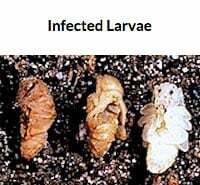 These microscopic, soil dwelling parasites actively hunt, penetrate and destroy over 230 different pest insects. Parasitic nematodes seek out insects harmful to garden plants, shrubs and trees in their soil-borne stages and destroy them from the inside out. Present in soils throughout the world, these microscopic, non-segmented worms destroy over 200 types of insects that mature in the ground including weevils, Japanese beetles, fleas, borers and fungus gnats, before they reach adult stages. Shop our large selection of biological controls, including beneficial nematodes, at Planet Natural. One pint — 10 million active units — treats up to 550 square feet and costs $29.95 with FedEx 2-Day shipping included! 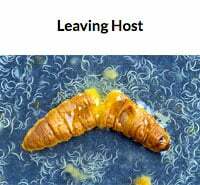 When released into the soil, nematodes seek out the larvae and pupae of susceptible pests by sensing the heat and carbon dioxide they generate. They enter pests through various orifices or directly through the “skin.” Once inside the host, they release a bacterium that kills it within a day or two. They will continue to feed on the remains, multiplying as they do, before exhausting it and leaving to seek another food source. 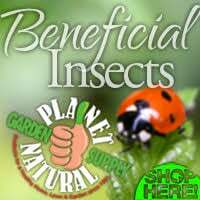 Nematodes do not prey on ladybugs, earthworms or most other beneficial insects. They are harmless to plants and humans as is the bacterium they produce. 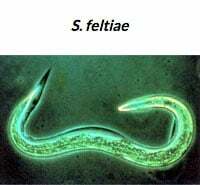 Evidence of the nematodes effectiveness, other than reduced pest populations, is difficult to spot as these microscopic creatures consume their hosts in the soil, leaving little trace behind. They’re appropriate for use on lawns, in gardens and around trees and shrubs. They need generally moist condition to facilitate their movement. Simply scatter over the infested area, then water. Optimally, nematodes should be applied at sunset to protect them against sunlight. To control boring insects, prepare a water suspension, then inject or spray the solution into the burrows. 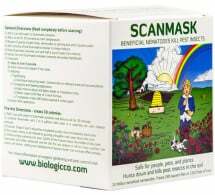 Note: Scanmask®, a product based on a selected strain of Steinernema feltiae, will provide insect control in an area from 250 to 550 square feet. This refers to the area actually at risk or already infested by insects. 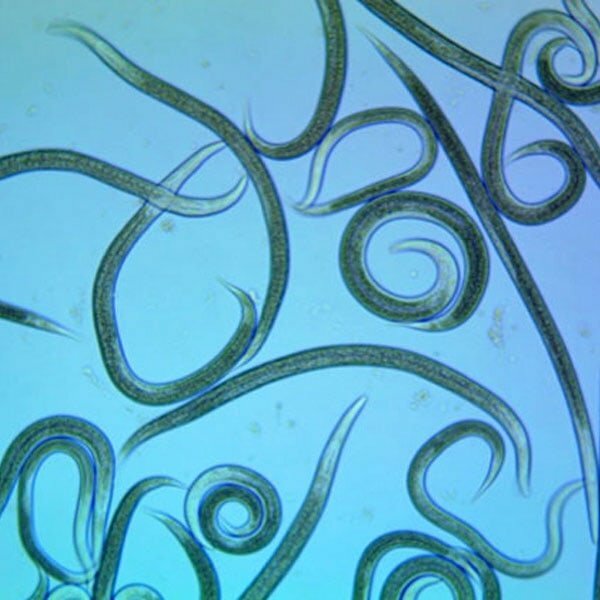 Since infestations are rarely uniform, nematodes should be used as a “directed control measure” on areas already or at risk of being infested.